"So that’s how they do it." was my final thought after Brooks schooled us with a step-by-step screen printing lesson. We've invoiced, delivered and worn dozens of designs printed by our friends at Electric Ghost (EG), but seeing the whole process was pretty magical! In December we didn't just have a Christmas party, team Silverlake went out for a Christmas FIELD TRIP. 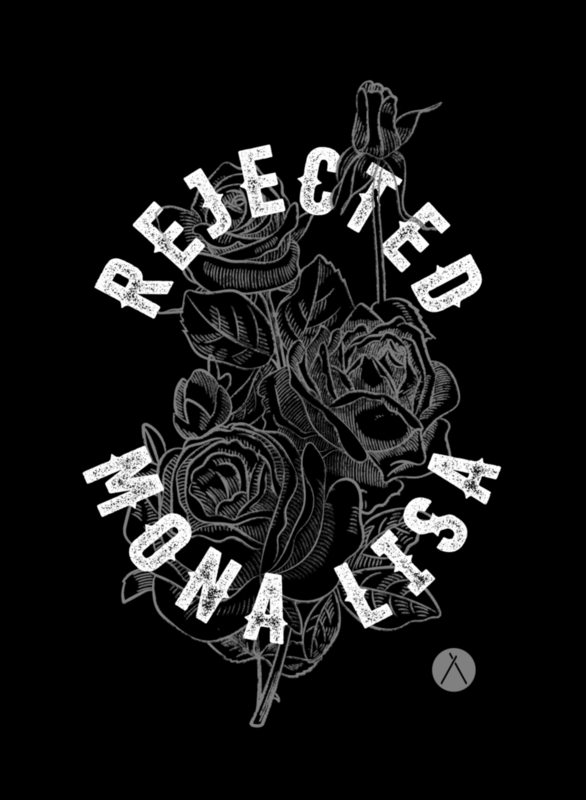 First we stopped at EG to print our Rejected Mona Lisa tees. We all squeezed into the darkroom to watch the emulsion wash away and reveal our artwork burned into the screen, boom. Sidebar—Our friend Brooks started screen printing band tees in his garage and has since expanded to a shop on Main Street where they can print hundreds of tees in one day! Thanks for taking the time to give us the grand tour Brooks, you're the best!! We each took turns printing our shirts- Pulling that ink across, I just hoped for the best. After seeing all of the hard work that goes into designing and printing graphic tees, I'll never be the same. And here's our souvenir photo—Christmas field trip: documented!